There are many festivals in the world which celebrate music, film or art, but there's arguably none other which fuses such a wide range of culture and entertainment, and delivers it outside in a naturally intimate environment. 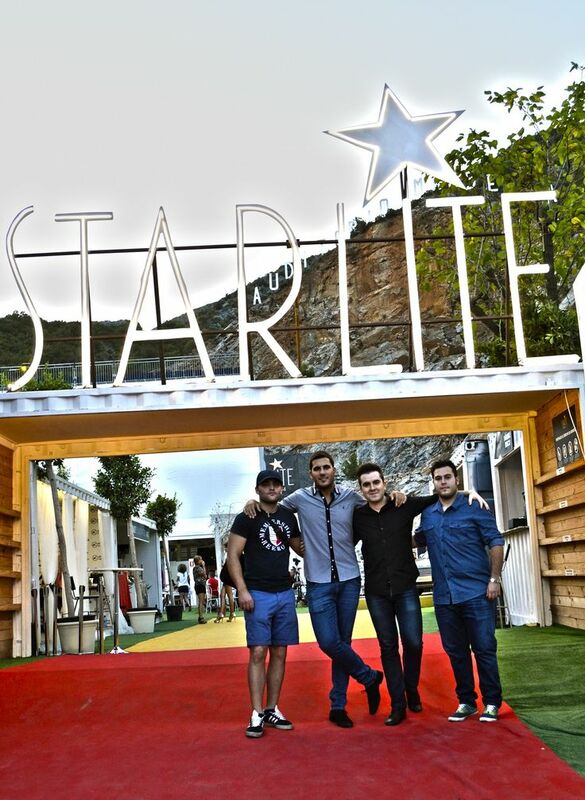 Located in the beautiful city of Marbella, the Starlite Festival has only been in existence a very short time yet has already become one of the most high profile events in Europe. Almost impossible to describe and capture the true essence of on paper, Starlite embodies every aspect of society, entertainment and philanthropy that can be conceived of, and delivers a series of events and concerts in small and unusual surroundings. Lasting for a month during the peak of summer, the Starlite Festival takes place in a natural Amphitheatre in Marbella, surrounded by a quarry and the sounds of nature. It incorporates an array of events and exhibitions including fashion shows, film premieres, gastronomic displays and artwork. Music is one of the mainstays of Starlite and already top musicians and artists have queued up to take part in the event, playing a series of small and intimate concerts which allows the fans to get up close and personal to the performers in a way never experienced before. 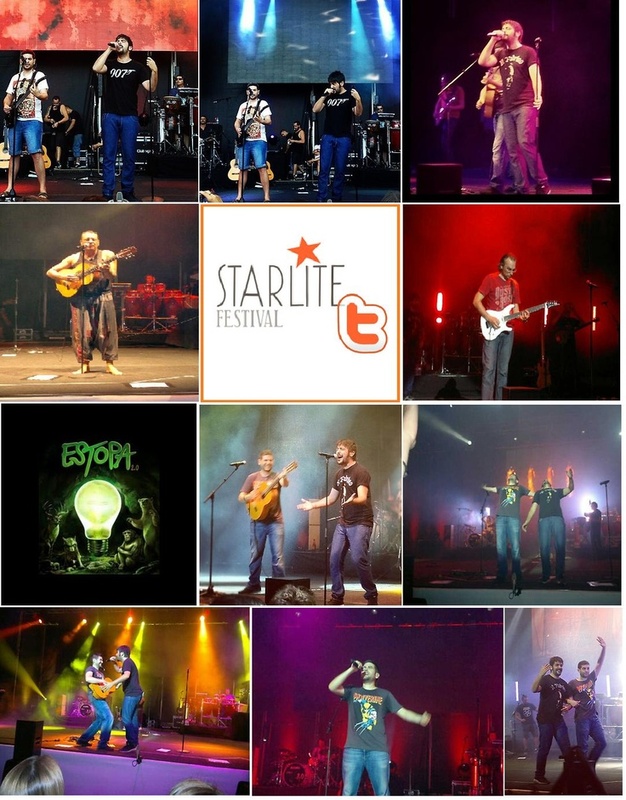 Starlite aims to change the festival experience, removing boundaries and creating an all-inclusive atmosphere which sees the celebrities not just on the stage, but in the audience, dancing, eating out and taking part shoulder to shoulder during the event with their fans. Some of the internationally acclaimed artists that performed at Starlite include Ricky Martin, Tom Jones, Enrique Iglesias, Bryan Adams, Julio Iglesias, Alejandro Sanz, Tony Bennett and the Pet Shop Boys, to name but a few. One night during the festival is dedicated entirely to philanthropy, the Starlight Gala, an event hosted by Antonio Banderas. This has become, in just two years, the largest charity event held in the whole of Spain. If you have stayed in Marbella before, you no doubt may have seen some of the exclusive venues and upmarket locations across the city. But it's unlikely you would have experienced anything like this. Starlite is held in the Nagüeles quarry, a venue which originally held a concert back in 1983 when its natural acoustic qualities were identified. After being left untouched for almost 30 years, the possibilities of the quarry were rediscovered when Starlite was launched in 2012, using the natural surroundings to produce a phenomenal sound. The quarry lies approximately 2km inland from the beaches, within the province of Marbella and is a particularly intimate venue. There's a capacity of just 2500 meaning everyone who goes is guaranteed a fantastic view, whilst those at the front will be just two metres from the performers on stage. During the month-long festival, the quarry is used to maximum capacity. After the concert every evening, it will be transformed into a night club, with the acoustics once again providing a unique setting for the music, with world-famous DJs performing all the way through until sunrise. Once every week, viewers can enjoy an open air cinematic event in the quarry, with the biggest screen in Spain providing an atmospheric experience. A number of other events such as fashion shows and exhibitions will also take place in the quarry, promising attendees an unforgettable occasion. It was the opportunity to deliver such a feast of celebration and sound in a natural space which originally excited the creators and it's undoubtedly the venue which makes the festival such an utterly unique experience. 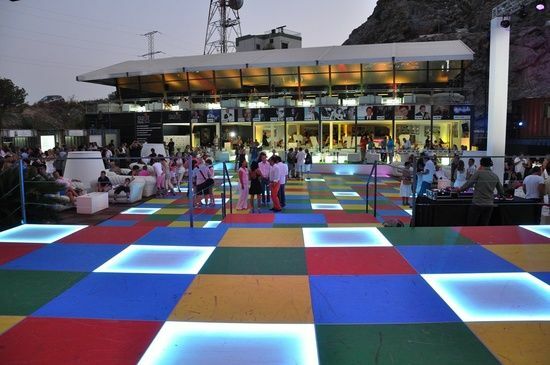 Marbella is renowned for having vibrant and thrilling nightlife but the Starlite Festival is something extra special. The concept of the Starlite Festival was first born in 1983 when Placido Domingo, Julio Iglesias and Prince Alfonso von Hohenlohe, one of the founders of modern-day Marbella, organised a recital in the quarry. Excited by the possibilities of using the natural acoustic qualities of such a beautiful space outdoors, the quarry was used as an auditorium for the very first time. It was this successful concert which formed the basis for the Starlite Festival which took nearly 30 years to reach fruition. By this time, the Starlite Gala was already up and running and the idea to fuse the two events to create a philanthropic celebration of music, society and entertainment was born. The marriage of Ignacio Maluquer and Sandra Garcia-Sanjuan was the spark needed to get the event organised and in 2012, the very first Starlite Festival was held. It has gone on to hold one every year since, each one gathering in momentum and status, being now recognised as the most culturally significant event in Europe. In 2013, the festival generated 270 jobs directly and created an economic impact of €40 million, according to economic experts PwC. Who are the Starlite Foundation? The Starlite Foundation are the group who are behind the Starlite Festival, and rather than being a commercial money-making venture, they are a philanthropic organisation. The aims of the body are to raise money to improve the living conditions, health and education of children, families and communities who are forced to exist with little or no resources. There are a number of big-name stars who support the organisation and use their influence to help champion the cause and to raise money when possible. Arguably the most famous of these is Antonio Banderas, the host of the annual Starlite Gala who also has his own foundation which helps those in crisis, the Tears and Favors Foundation. It's somehow rather fitting that in Marbella, amongst the riches, wealth and fame, that an event such as the Starlite Festival can take place, not just bringing entertainment and revelry to those who visit, but raising vital cash for an excellent cause.